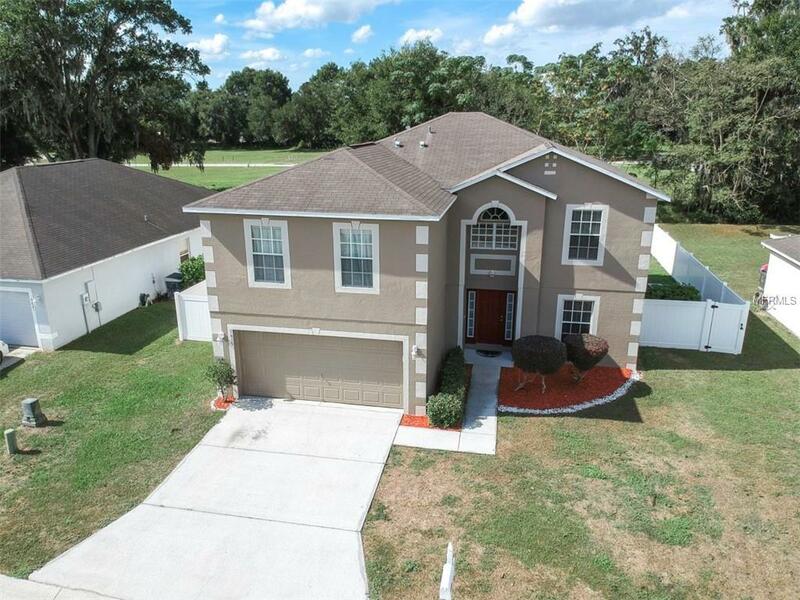 BEAUTIFUL & SPACIOUS TWO-STORY HOME in SOUTH LAKELAND!! The layout of the home includes 4 bedrooms, 2 bathrooms and a loft! This home has been immaculately maintained & has recently painted with fresh, neutral colors. The first floor consists of a formal dining & living room along with a kitchen opening into the large family room. The kitchen is full of amenities that include newer stainless steel appliances, two pantries, an island with prep sink, plenty of cabinet & counter space & a dinette area! The second floor features a large loft area leading to each of the bedrooms. The master suite is huge and features a walk-in closet and a full ensuite bathroom. The master bathroom includes a garden bathtub & walk-in shower. The remaining bedrooms and bathroom upstairs are spacious as well. Additional amenities include an inside laundry room and an attached 2 car garage. The huge backyard boasts a new vinyl fence along with a large open patio - perfect for lounging, entertaining and barbequing! No rear neighbors! This home is absolutely wonderful! Schedule your private tour today!